Aspiring junior executives dream of climbing the ladder to gain more authority. Then they can make things happen and create the change that they believe in. Senior executives, on the other hand, are often frustrated by how little power they actually have. The problem is that, while authority can compel action, it does little to inspire belief. It’s not enough to get people to do what you want, they also have to want what you want — or any change is bound to be short lived. That’s why change management efforts commonly fail. All too often, they are designed to carry out initiatives that come from the top. When you get right down to it, that’s really the just same thing as telling people to do what you want, albeit in slightly more artful way. To make change really happen, it doesn’t need to be managed, but empowered. 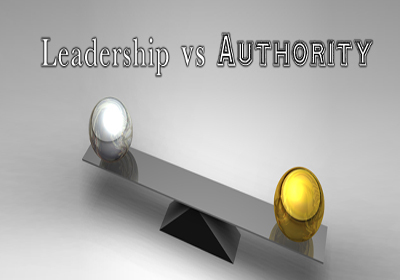 That’s the difference between authority and leadership. In the 1850’s, Ignaz Semmelweis was the head physician at the obstetric ward of a small hospital in Pest, Hungary. Having done extensive research into how sanitary conditions could limit infections, he instituted a strict regime of hand washing and virtually eliminated the childbed fever that was endemic at the time. In 2005, John Antioco was the eminently successful CEO of Blockbuster, the 800-pound gorilla of the video rental industry. Yet, despite the firm’s dominance, he saw a mortal threat coming in the form of online streaming video and nimble competitors like Netflix. He initiated an aggressive program to cancel late fees and invest in an online platform. Things ended poorly for both men. Semmelweis was castigated by the medical community and died in an insane asylum, ironically of an infection he contracted while under medical care. Antioco was fired by his company’s board and his successor reversed his reforms. Blockbuster filed for bankruptcy in 2010. While today the insights of Semmelweis and Antioco seem obvious, they did not at the time. In the former case, it was believed that illness was caused by an imbalance of humors and in the latter, the threat of online video seemed too distant to justify forsaking short-term profits. Even given their positions of authority, neither was able to overcome the majority view. We tend to overestimate the power of influence. It always seems that if we had a little bit more authority or had more data to back us up or were able to make our case more forcefully, we could drive our ideas forward. Yet Semmelweis and Antioco had not only authority, but also had the facts on their side and were willing to risk their careers. They failed nonetheless. In the 1950’s, the eminent psychologist Solomon Asch performed a series of famous experiments that help explain why. He showed the chart below to a group of people and asked which line on the right matched the line on the left. It seems like a fairly simple task and it should be, but Asch, renowned for his ingenuity, added a twist. All of the people in the room, except one, were confederates who gave the wrong answer. By the time he got to the last person who was the true subject, almost everyone who participated conformed to the majority view, even though it was obviously wrong. While we like to think of ourselves as independent and freethinking, the truth is that we are greatly affected by the views of those around us. If you are in an office where people watch silly cat videos, you’ll find yourself doing the same and laughing along. Yet often you’ll find that they’re not nearly as funny when viewed in different company. Yet conformity is never absolute. Even in Asch’s experiments, there were some who held out, much like Semmelweis and Antioco. We all have our points of conviction on which we are unlikely to be swayed, other areas in which we need more convincing and still others that we really don’t care enough about to form much of an opinion at all. That essentially is what the threshold model of collective behavior predicts: Ideas take hold in small local majorities; many stop there and never go any further, but some saturate those local clusters and move on to more reluctant groups through weak ties. Eventually, a cascading effect ensues. The best-known example of the threshold model at work is the diffusion of innovations model developed by Everett Rogers, in which a small group of innovators gets hold of an idea and indoctrinates a somewhat more reluctant group of early adopters to form local majorities. The reticent denizens of those clusters find themselves outnumbered and begin to conform, just as in Asch’s study. Before long, the new converts find themselves passing the idea on to other social groups they belong to. The process continues until the idea has grown far beyond its original niche. Eventually, even the most skeptical laggards join in. Now we can see the failure of Semmelweis and Antioco – and the folly of so many aspiring executives — for what it is. Rather than seeking to lead a passionate band of willing innovators and build a movement, they leaned on their authority to create wholesale change by forcing the unconvinced against their will. Instead of painstakingly building local majorities, they attempted to compel entire populations. Control is an illusion and always has been an illusion. It is a Hobbesian paradox that we cannot enforce change unless change has already occurred. Higher status—or even a persuasive presentation full of facts—is of limited utility. The lunatics run the asylum, the best we can do as leaders is empower them to run it right. And that’s why change always requires leadership rather than authority. Respectable people always prefer incumbency to disruption. Only misfits are threatened by the status quo. So if you want to create real change, it is not power and influence that you need, but those who seek to overthrow them.